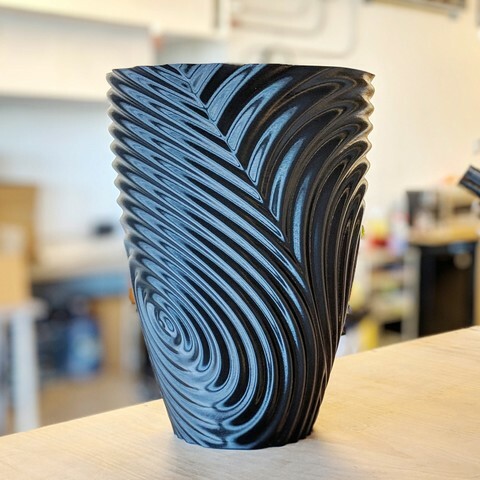 We designed this unique ripple vase with a twist. 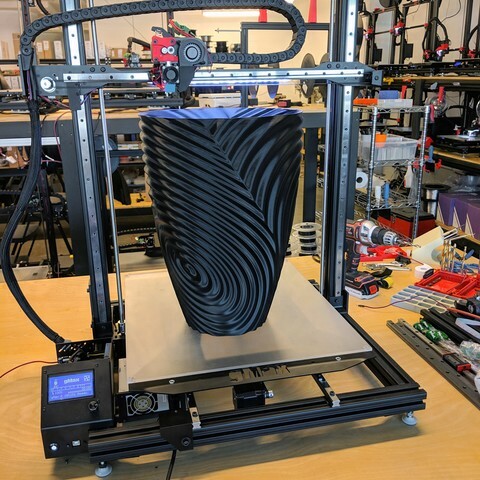 It's perfect as a refuse bin or other container and it looks extra fancy with glossy filament. 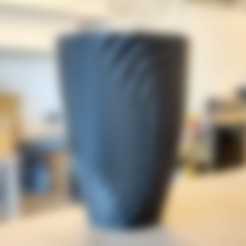 It's also can be scaled to fit the desired size thanks to the high quality model. 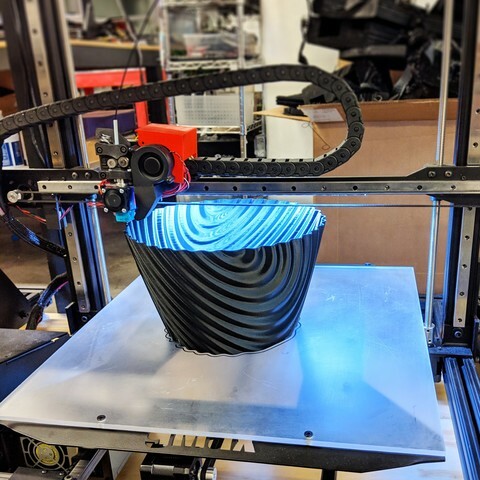 The model is solid and it was designed to be printed in "spiral vase" or "spiralize contour" mode with a large nozzle size (0.8mm to 1.2mm). 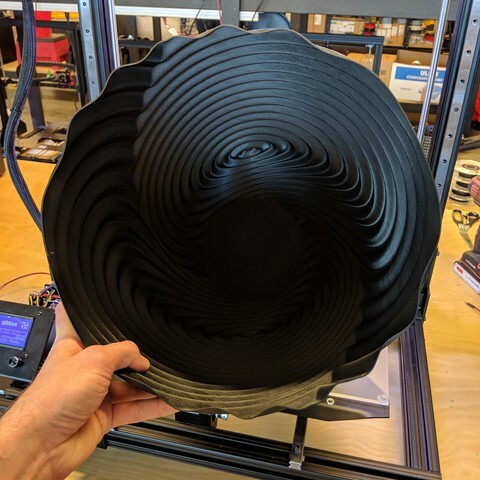 Make sure you turn off top layers as well or the print will not be hollow. 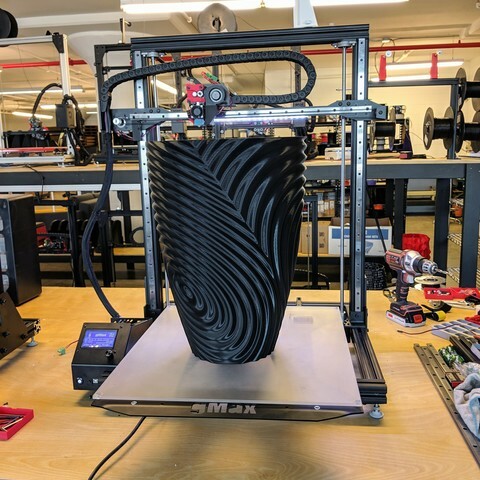 We scaled the original model by 400% and printed it on the gMax 2 printer for a true #gMaxSize experience. 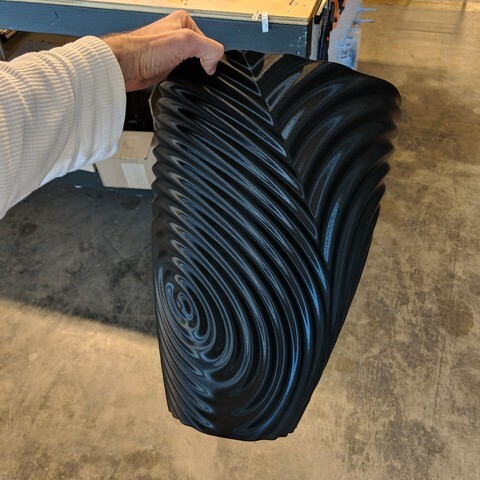 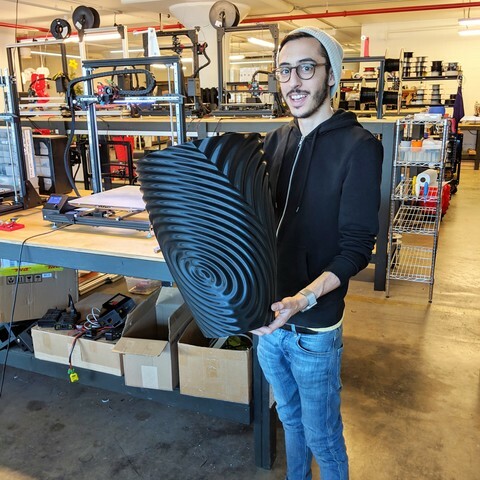 The final bin is 18" tall and printed in 16 hours.